How to check HSSC Haryana Final Result? 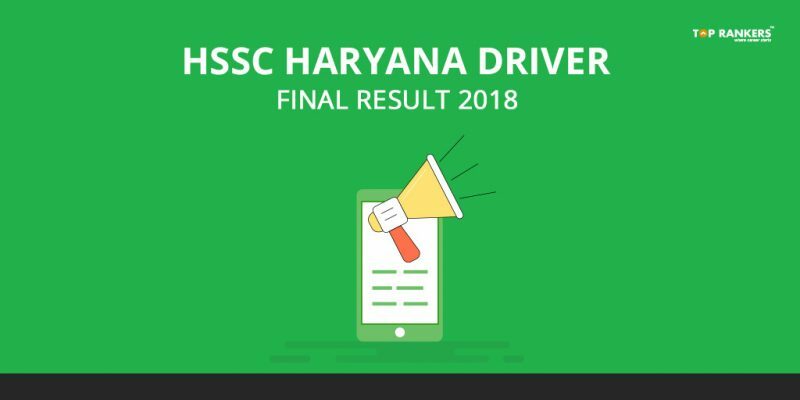 Candidates are eager to know HSSC Haryana Driver Final Result 2018 after an intensive selection process lasting for months. Haryana Staff Selection Commission has published the final result on its official website. After going through a channel of tests including Driving, candidates are going to join HSSC as a Driver for Heavy Vehicle. All the candidates shortlisted for the selection will be paid a sum of 5200/- to Rs. 20, 200/- + GP Rs. 2400/- as monthly salary. The final selection is subject to various eligibility criteria as per the official notification published earlier this year. We at Toprankers Congratulate the candidates for getting shortlisted in HSSC Driver Final Result while other aspirants can start preparing for other Govt. Examination through our efficient and high performance Mock Tests. Log on to the official website of HSSC. A new page will open, Look for Final Result for the post of Heavy Vehicle Driver. Stay Tuned for more HSSC related update and notifications. If you have any doubt or suggestion, Do write us in the commnts below.